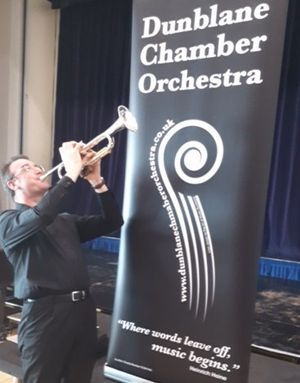 Dunblane Chamber Orchestra was formed in 2008 and is made up of experienced players from Dunblane and the surrounding area. The orchestra gives two concerts a year in May and November, and performs familiar and lesser known works to an appreciative audience. Our programmes can be viewed on the Concerts page and there is a complete list on the Repertoire page. Players subscription - £15 per concert, free to students and first time players. Support us with your Co-op Membership by choosing Causes 28727. Sponsoring the DCO Community PlayDay on October 6th, 2019.